Common Types of Florida Car Accidents and Injuries | DeLoach, Hofstra & Cavonis, P.A. What are the most common kinds of car accident injuries? Car accidents happen so frequently, it's nearly impossible to find someone whose life hasn't been affected by a crash. Even when an accident doesn't cause serious injury, it can still result in the loss of a vehicle or time off of work to recover from the strain. The good news is that most accidents are entirely preventable—and just knowing how they're most likely to occur can help you avoid a crash before it happens. 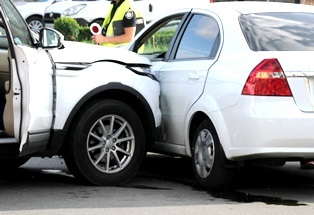 The most frequent crash scenario by far is the rear-end accident. One car is following another too closely, and the lead car suddenly stops, forcing the following car directly into the back end. In these accidents, the most common injury sustained by the driver and passengers in the lead car is whiplash. The driver of the following car is almost always determined to be at fault. Left turn accidents. Accidents tend to occur in intersections or anywhere cars may cross paths. The most common example is the left turn accident, where a driver attempts to make a left turn in the path of a driver going straight through the intersection. Common front-end damages for drivers and passengers in the crash include facial injuries or chest trauma from front airbags, and broken bones if the cross impact was severe and they're not protected by side airbags. Head-on collisions. These happen when two vehicles strike each other on the front, usually because one or both drivers veer out of their travel lanes. Head-on crashes cause serious injuries and are often fatal, especially since motorists in these accidents tend to travel at high speeds. Side-impact accidents. These collisions are also known as “broadside” or "T-bone" accidents, as the front of one vehicle strikes the side of another. A left-turn accident is a type of side-impact crash. Most side impact crashes are due to driver inattention or speeding, and both behaviors make injuries more likely. Sideswipe accidents. Any traffic situation that requires vehicles to travel close to one another has the potential to cause an accident. Merging is especially dangerous, as it may force cars to “line up” while traveling at high speeds, increasing the risk of a sideswipe collision. Two cars that collide while traveling in the same direction can cause body damage to the vehicles and soft-tissue injuries for both drivers—and more serious injuries can occur if one of the drivers loses control. Single-vehicle crashes. These happen when a car runs off the road, strikes a tree, or spins out on ice or gravel. While a driver is generally assumed to be at fault for this type of crash, he or she may still be able to file a claim against a municipal entity or construction company if the road wasn't properly cleared of debris, and such conditions contributed to the accident. Multi-vehicle accidents. A multi-vehicle collision can involve many different individual kinds of crashes and injuries. These kinds of accidents usually occur on highways or in densely-populated areas, and they carry unique complications due to the various types of vehicles involved and the number of victims. Rescue workers may also have trouble reaching victims in the middle of the pile-up, while a fire from one vehicle can quickly spread throughout the crash area. Vehicles involved in these accidents are sometimes hit multiple times, further increasing the risk of injury. While the type of car accident can affect the range and seriousness of injuries, there are many other factors that might determine how much a car accident case will be worth. If the driver who struck you was speeding, under the influence of alcohol or drugs, or texting before the crash, the driver can be held liable for negligence and you could recover a significant amount for your injuries. Fill out the contact form on this page today to have us begin an investigation into your accident claim.